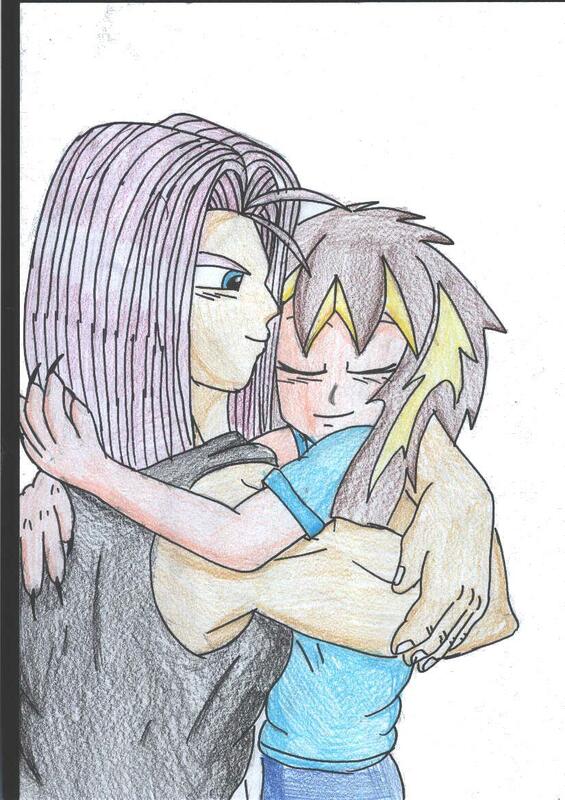 my first good pic of me and trunks huging he's mine i tell you MINE!!!*ahem*0.0>comments??? It's a nice pic, but, umm... she's pink like a hot dog! Are banes remind me of smoked cheese! With the wrapping! Good drawing of an embrace ^^! She does have some shadows,(but missing some too) they just need to be darker in value! Those claws look like they're threatening to rip him though O.o! Wow!!! I like! I love your expressions, looks like theres some lovely huggle love going on there ^^ Favs!